About 85% of the population will experience disabling low back pain at least once during their lives. Low back pain is so widespread that accordin g to one researcher, 6.8% of the US adult population is currently suffering from an episode of back pain lasting more than two weeks. Scientists predict that the cost of this problem in the US is over $50 billion a year. Scientific studies comparing chiropractic care with medical care and physical therapy show that chiropractic treatment relieves chronic and severe pain, both immediate and long-term, in one-half the time it takes orthodox medical physicians. 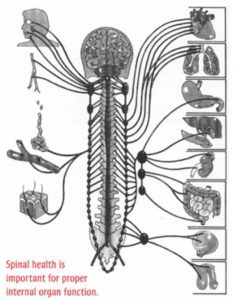 More than 60 scientific studies demonstrate the value of manipulation as the most effective and cost-effective form of treatment for dysfunctional problems in the cervical, thoracic and lumbar spines. The modern medical path to back pain varies depending on the severity of the condition. Common approaches include the use of muscle relaxants, painkillers, rest and physical therapy such as traction, diathermy, hot packs and cold packs. Sadly, not one of these methods have proven to be helpful. If the problem does not improve or worsens, then surgery may be performed. Studies have shown that chiropractic methods work better, are safer and are less costly than standard medicine for lower back complaints. The medical approach is at times necessary – even back surgery has a place. However, some studies find that most spinal surgery for acute lower back problems should not have been executed. Many patients who have had spine operation report a recurrence of their traits within a time or two of the surgery and may return to the surgical table. Although some successes result in long-term relief, in some cases the surgery makes no difference whatsoever. A trained Chirporactor has helped countless people with low back problems, often saving them from pain, disability, drugs and surgery. The goal of real chiropractic care is to force the back and its nerves, discs and muscles to perform better, stronger and more durable by adjusting your Vertebral Subluxations. Treatment for back problems caused by Vertebral Subluxations can make the difference between a life of ease, health and comfort or a life of pain, disease and disability. Major government studies from the US and Canada have reaffirmed what chiropractic patients have known for years – chiropractic treatment for low back pain is safer and more effective than drugs or surgery. In 1994, the United States federal government sent shockwaves throughout the health care system when a definitive public pronouncement established chiropractic as one of the preferred and most effective methods of care for acute adult low back pain. A panel of medical experts spent more than 2 years reviewing nearly 4,000 studies and reported that expensive tests, such as MRIs and CAT scans, and therapies typically used to diagnose and treat acute lower back pain, including ice, heat, message and diathermy, are largely useless. Instead, the experts recommended the non-drug chiropractic approach. The panel also revealed that extended bed rest was difficult, and that muscle relievers with operation may be irrelevant and, in some cases, dangerous. As stated by Dr. Gerard W. Clum, President of Life Chiropractic College-West, quote: “The Guideline…clearly establishes spinal manipulation as the only recommended intervention whose benefits include symptomatic relief and functional improvement.” end quote.